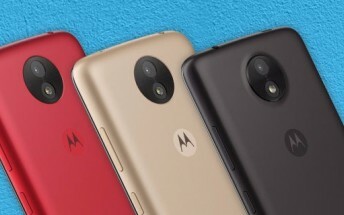 Following quite a few rumors and leaks about them, Motorola has just unveiled its lowest-end smartphones for 2017. 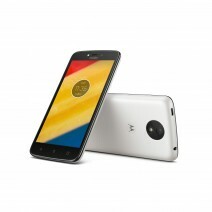 They are the Moto C and Moto C Plus. On the outside they are, as you'd expect, almost indistinguishable from each other, but their innards are a different story. Let's take a look. This is the entry-level model, as hinted at by the name. It comes with a 5-inch FWVGA (854x480) touchscreen, which is not something you read often in a spec list in 2017. The main camera is a 5 MP unit with 1.4 micron pixels, 74-degree field of view, fixed focus, an LED flash, and 720p video recording support. For selfies you get a 2 MP shooter with 1 micron pixels, a 63-degree field of view, fixed focus, and an LED flash. The phone is powered by MediaTek's MT6737M chipset, which comes with a 1.1 GHz quad-core Cortex-A53 CPU, aided by just 1GB of RAM and 8 or 16GB of expandable storage. Keeping all things running is a 2,350 mAh removable battery. 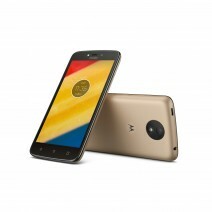 The Moto C runs Android 7.0 Nougat. Its dimensions are 145.5 x 73.6 x 9 mm, and it weighs 154g. Color versions are Metallic Cherry, Pearl White, Fine Gold, and Starry Black. It will become available starting "this spring" in "various countries across Latin America, Europe and Asia Pacific". It will be priced at €89 unlocked and SIM free if you purchase the 3G-only model with 1GB of RAM and 8GB of storage. If you want 4G, you'll need to shell out at least €99 for otherwise the same package. 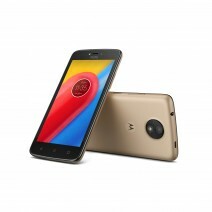 This handset is very similar to the Moto C in some respects, but it ups the game when it comes to screen resolution, battery life, rear camera features, RAM capacity, and CPU frequency. So quite a lot of improvements there. It has a 5-inch 720p display, an 8 MP f/2.2 main camera with 1.12 micron pixels, autofocus, a 71-degree field of view, and an LED flash. Its SoC is the MT6737 (sans "M") which means the CPU, while still being a quad-core Cortex-A53 unit, has been bumped to 1.3 GHz. You also get 2GB of RAM in some models, and 16GB of storage comes as standard. 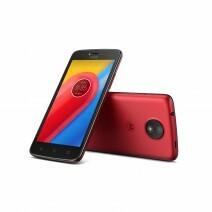 But perhaps the biggest improvement has to do with the battery capacity, which in the C Plus is a whopping 4,000 mAh. That will certainly ensure at least one-day operation for even the most demanding use-cases. 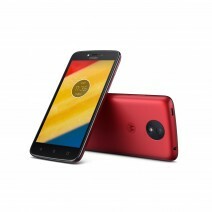 The Moto C Plus measures 144 x 72.3 x 10 mm, and weighs 162g. Other details, including the color options on offer, are the same as for the C.
The C Plus will start at €119 with 1GB of RAM. Expect to pay more if you want double that. The availability time frame and markets are shared with its lesser sibling.